Right now, in the $200 price range, Google’s Nexus 7 tablet is the one to beat. I’ve got dozens of tablets I use for testing and between the Kindle Fire, Nook Tablet, Samsung Galaxy 2 and Blackberry Playbook, the Nexus 7 tablet outshines them all. 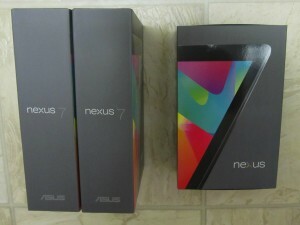 This is your chance to get hands-on with the Nexus 7 as I have two 8GB units to give away to some lucky readers of my blog. To enter the drawing, all you have to do is leave one comment on this post and make sure you submit the comment with a valid email. The drawing is open to anyone with a mailing address in the U.S. and I will select the first winner at random next month. Good luck! The drawing is now over. Congrats to Kristie D. who won the item.